Reduce Your Electricity Consumption by 40% - OneWatt Answers! Filipino startup OneWatt, which has built a smart energy storage system that can help reduce electricity bills by as much as forty percent, declared winner at GreenOvation hackathon. The dilemma is the same in almost every Filipino household: We consume too much electricity because of the heat, and our monthly bills get higher and higher. Filipino startup OneWatt aims to address this problem. They have created what they call energon, a smart energy storage system that helps households manage the daily fluctuations in the cost of electricity. Energon has built-in algorithms that determine when it’s most cost effective to draw electricity from the grid or an alternative power source. This means that bill payers can enjoy a reduction of as much as 40% on their monthly statements. As the grand champion of GreenOvation, OneWatt has the opportunity to bring energon to the mass market in the Philippines. 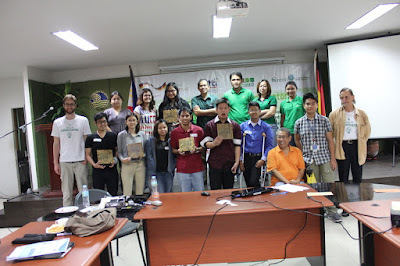 GreenOvation was a hackathon created to encourage Filipino entrepreneurs to create solutions that promote green living, particularly among small and medium enterprises (SMEs). From an initial pool of more than 34 teams, the judges of GreenOvation whittled down the competition across three rounds. OneWatt was declared the grand champion in the third and final round on October 3, 2015, besting five other companies. Joe Maristela, one of the judges of the GreenOvation, said that he chose OneWatt because of its practicality for all Filipinos. “While there were many promising solutions in GreenOvation, OneWatt stood out to me because of how useful it is. Every Filipino household and business would benefit from reducing their electricity costs. Saving 40% on your bill means an immediate jump in your quality of life somewhere else,” said Maristela, whose accelerator, Katalyst.ph, was also one of the sponsors of the event. The event was organized by the Republic of the Philippines’ Department of Trade and Industry and the Federal Republic of Germany’s Deutsche Gesellschaft für Internationale Zusammenarbeit (GIZ) via their joint project, ProGed. Maristela believes that initiatives like GreenOvation, which encourage entrepreneurs to create solutions in a limited timeframe, are crucial to the future of the Philippines. In a similar vein, Maristela also believes that it’s important to accelerate the fundraising process for startups to help them get off the ground and move them toward scaling. As a result, Maristela’s Katalyst is hosting #Katalyst2015 on November 27, 2015, at the Palace Pool Club in Fort Bonifacio Global City. This event will feature more than 1,500 startup co-founders and 500 independent and institutional investors from all over the globe, making it the largest startup funding event in world history. The goal of #Katalyst2015 is to not just get entrepreneurs and investors to converge in one place and network with one another, but to actually get them to strike deals on that very night. “Hackathons like GreenOvation are crucial in helping entrepreneurs get their products out the gate. The next natural step is helping them get the funding they need to scale. This process can take unduly long and pull entrepreneurs away from product development, so I want to help them focus on their business with a boost from #Katalyst2015,” said Maristela. The venue for #Katalyst2015 will feature secure and protected rooms where negotiations on terms can be discussed. General terms can be agreed upon, of course, contingent upon a requisite due diligence period, post-event. For people interested in attending #Katalyst2015 as an official startup, you may now submit your video pitches to hello@katalyst.ph for the initial screening.